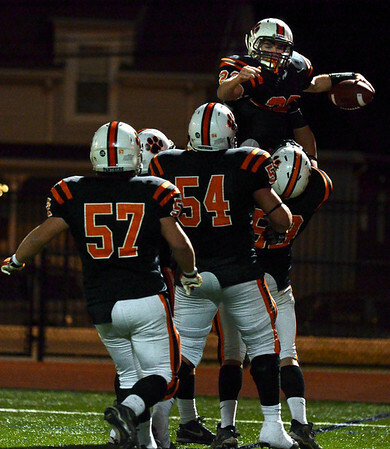 Lynn: Beverly's Blake Sullivan is hoisted by teammates after he scored the team's touchdown fifth touchdown in the third quarter . Photo by Mark Teiwes / Salem News. Nov. 30, 2010.